Sometimes I get a new bird for the county year list out of the blue, an unexpected and exiting rarity (like the Green-tailed Towhee at Jameson Lake last Sunday). Other times I chase a bird previously reported by someone else. Most of the time those chases don’t pan out, but once in a while they do. 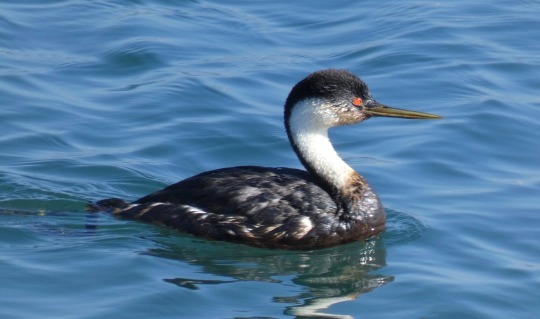 A report had come in of a Red-necked Grebe in Santa Barbara Harbor this morning. 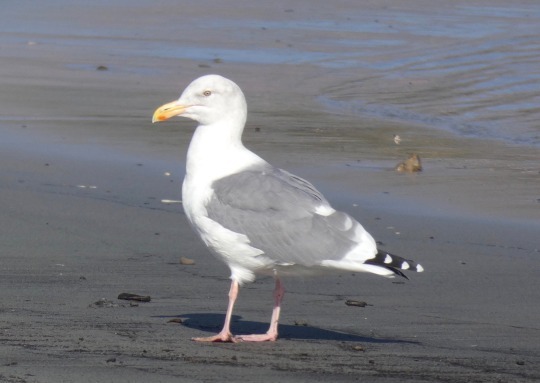 I didn’t find out about it until I broke from work for lunch and saw the posting on the sbcobirding list. I’d only have time for a quick look, but I could at least go to the harbor and see. 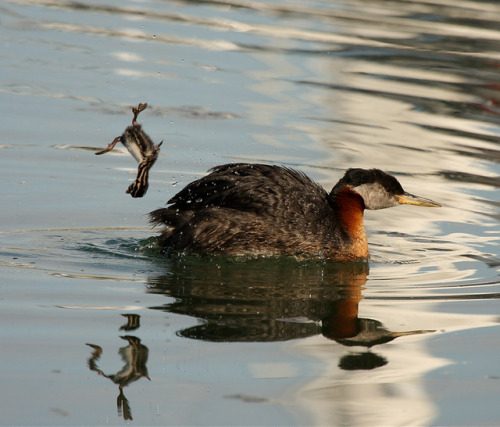 When I got there I saw plenty of Western and Clark’s Grebes, but no Red-necked. 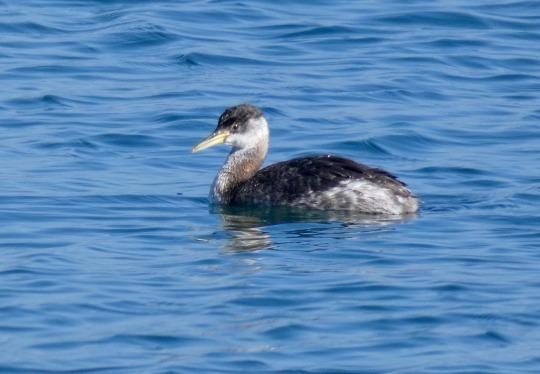 At one point I saw a Western Grebe that had been discolored by oil, which was sad, and it occurred to me that maybe that was the bird that had been seen. 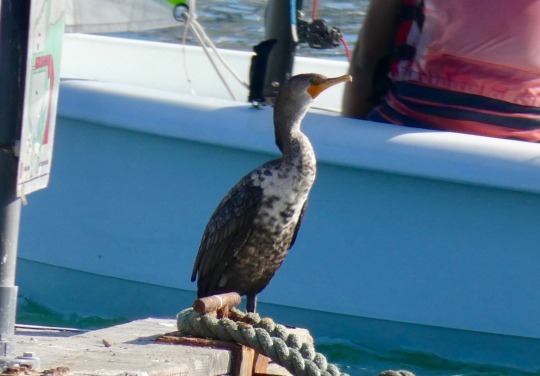 It didn’t look like a Red-necked Grebe, but it looked different enough to be potentially confusing? Tags: carp without cars, birds, santa barbara county year list, rngr. This entry was posted on Tuesday, November 20th, 2018 at 5:18 pm	and is filed under Tumblr reblogs. You can follow any responses to this entry through the RSS 2.0 feed. You can leave a response, or trackback from your own site.